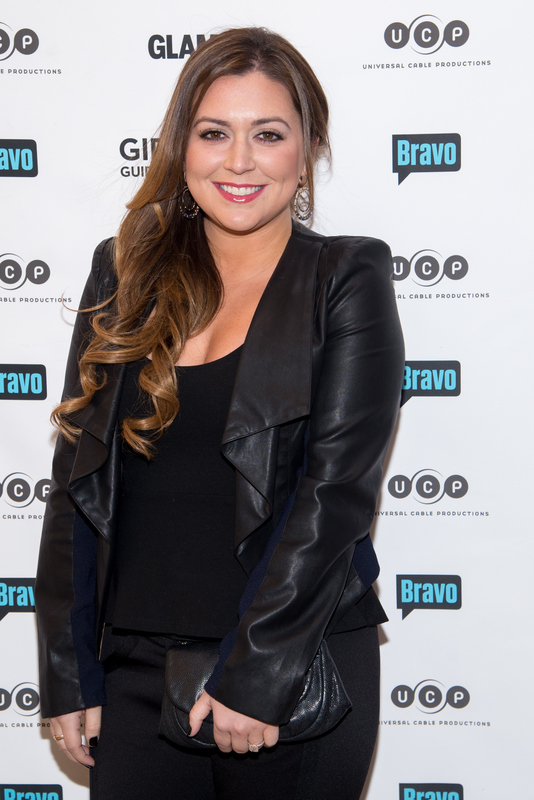 Real Housewives of New Jersey fans, relax, I wasn't invited to Lauren Manzo's wedding to Vito Scalia, either. Surely, we can all find some common ground in that lamentable fact, can't we? While you understandably wallow in self-pity — because I'm not going to sugar coat it, the wedding looked like a whole lot of fun — why not learn a little more about the Manzo'd with Children's star long awaited nuptials? I guarantee it'll make you feel at least a little more involved in the coveted hoopla. "Along with the bride's aunt Dina Manzo, attendees included The Real Housewives of New Jersey stars and alums Joe and Melissa Gorga, Richie and Kathy Wakile, Kathy's sister Rosie Pierri, and Chris and Jacqueline Laurita." Also in attendance was RHONJ show stealer and Manzo's bridesman, Greggy Bennett, who also happened to be the unofficial wedding social media photographer and videographer, providing plenty of documentation for us fans. Sigh. I know, I wish I could have flipped a few tables and gotten down with this crew, as well. So many reality feels. Surprisingly, so little drama. The most important part of any wedding, is, of course, a properly executed Britney Spears dance. A post-wedding tradition I could totally get behind. Congrats to the newlyweds, but is it too much to ask that when it comes time for your next celebration, you send a few invites out to fans?